RUSH: It’s like this Kate Smith business. If you haven’t heard about this, and probably you have by now. But the New York Yankees and the Philadelphia Flyers have declined to play Kate Smith’s God Bless America anymore. Yankees did it in the seventh inning stretch. The Flyers did it, a tradition going back, she sang it live once they won the Stanley Cup. 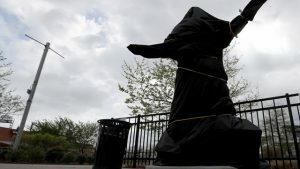 They have a statue outside their arena, the Flyers do, they’ve covered the statute, gonna remove the statue because back in the thirties she recorded two songs, the lyrics of which were racist. And so I’m watching people on TV talk about this. And they’re wailing against political correctness. They are going on and on and on, political correctness is dead, and when is it gonna stop? And the same people that cave rub their hands together, “When’s it gonna stop?” When you stand up and stop it. When you refuse to abide by it. When you tell Twitter to go to hell is when it’s gonna stop. 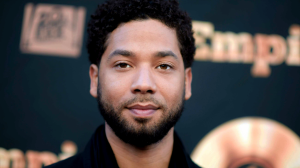 Today it was announced by the State's Attorney, Kimberly Foxx, in Chicago that the State had dropped the charges against Jussie Smollett. She said it was because he would not get more than the fine he had already paid and the community service he had already provided. So, they kept his $10,000, dropped the charges, records will be sealed and the charges were to be wiped clean from his record. If you want, as I want, to believe in our justice system, your first reaction is to think that this must have been the right thing to do. Then, as you review the situation in your mind, your common sense takes over and you begin to feel that churning in your gut. A slam dunk case dropped, record expunged? What a joke, a bad joke. This decision stinks, badly. Let's think for a minute about the two legal decisions of the past two days. Yesterday, after the Mueller Report summary was released, the left was depressed and the right was happy. Today, with the dropped charges against Jussie Smollett, the right is sad and the left feels redeemed. Seems fair and balanced, right? Not necessarily. If you compare the two, the Mueller probe had no charges they were pursuing against President Trump. Smollett had specific, credible charges levied against him. There was hard evidence (video tape, personal checks) against Smollett. There was after two years of investigating, no evidence at all against President Trump. Not the same at all. Let's think for a minute about the timing of the Smollett decision. Could it be that the timing of such a ridiculous decision is designed to get the reactions to the Mueller Report off the front pages? What are we talking about today, the Smollett decision. Is that because the reactions to the Mueller Report, after two years of daily stories, is no longer a media topic? Of course, it is still a story, but, now the story has flipped to the right. So, it needs to get off the front page. Sadly, this happens all the time. Or, is this a conspiracy. Why was Michelle Obama involved? Why did the State's Attorney recuse herself and then come out to announce the dropped charges? Why does the State's Attorney need to talk to the Smollett family? Why did the Chicago Mayor Rahm Emanuel and Police Superintendent Eddie Johnson come out angrily against this decision? They are all Democrats. Is this all a complex coverup? Or, is there some truth in here? Or, is this confusion just designed to keep the subject in the news longer? What is the benefit to the left of this decision, other than controlling the news cycle? Having a high profile, false flag, leftist proven to have faked a MAGA attack is something they would never be able to hide from. Especially since that violent MAGA narrative so largely occupies the left's messaging. And, they have made a successful practice of hiding from their sins. This one had to be removed. Even in the face of overwhelming evidence, this had to be removed. Now, with charges dropped, it can be defended or debated with plausible deniability. It is now off the table, no matter what the police, the mayor or Republicans say about the decision.